Geneva, Switzerland — Dallas Airmotive and H+S Aviation, both BBA Aviation companies, announced today that Pratt & Whitney Canada has awarded the companies Designated Overhaul Facility (DOF) appointments for the repair and overhaul of several turbo shaft helicopter engine models. Dallas Airmotive received the North American DOF appointment supporting the PW200 and PW210, and H+S Aviation received the Middle East DOF appointment for the PW200, PW210, PT6C and PT6T. This appointment is in addition to H+S Aviation’s current PT6T DDOF license in Portsmouth, which the company has been supporting since June 2009. 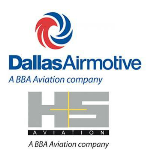 For more information on both Dallas Airmotive and H+S Aviation, visit the companies’ websites atwww.dallasairmotive.com and www.hsaviation.co.uk. BBA Aviation plc is a leading global aviation support and aftermarket services provider. BBA Aviation’s Flight Support businesses (Signature Flight Support and ASIG) provide specialist on-airport support services, including refueling and ground handling, to the owners and operators of private, business, military and commercial aircraft. BBA Aviation’s Aftermarket Services businesses (Dallas Airmotive, Premier Turbines, H+S Aviation, International Turbine Service, W. H. Barrett Turbine Engine Company, International Governor Services and Ontic) are focused on the repair and overhaul of gas turbine engines and the service of aerospace components, sub-systems and systems. BBA Aviation group companies operate from more than 220 individual locations on five continents. For more information, please visit www.bbaaviation.com.